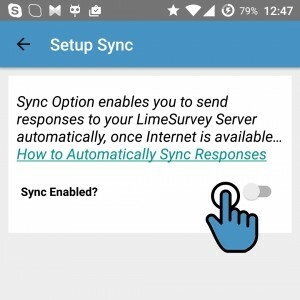 The Sync responses feature will upload your results to your LimeSurvey system - including files. 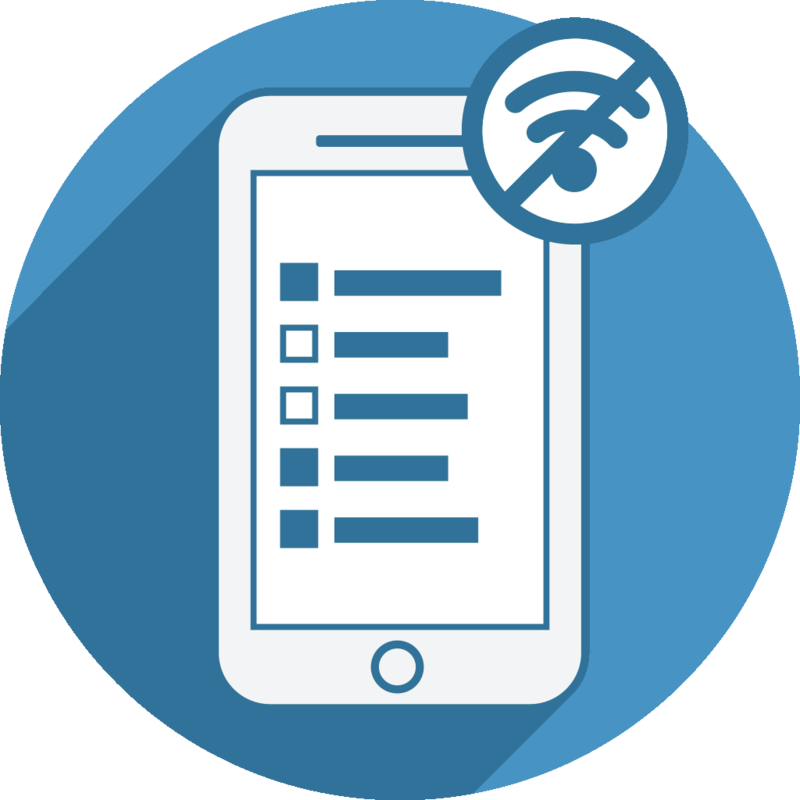 At the customized PRO version of Offline Surveys this happens automatically once Internet is available so you don't need to take care of syncing responses yourself. The LimeSurvey JSON-RPC API has to be activated (check "4- Enable the LimeSurvey JSON RPC API" at this tutorial). You have to enter your LimeSurvey admin login details (see #3 below). 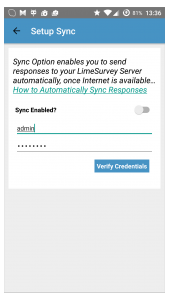 2 - Click "Activate Sync"
At the form shown below you have to enter your LimeSurvey login details (user name and password). 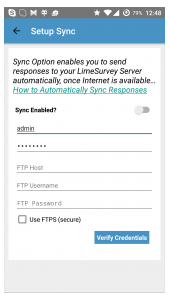 The system will only ask for FTP connection details if the current survey uses the file upload question or certain Android multimedia questions (voice notes or photos).